The Stop Repair Service dialog appears. Any repairs that were running when the repair service was stopped continue running until completion. Repairs in progress are not cancelled. 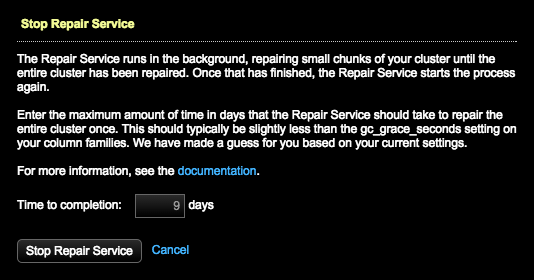 The Status for the Repair Service on the Services page displays Off.